Double Header Winter Storm Coming This Weekend! Home » News » Local News » Double Header Winter Storm Coming This Weekend! By BStigers on February 9, 2019. 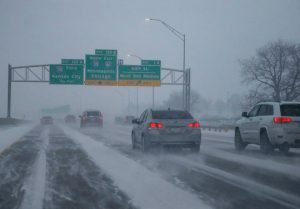 The National Weather Service is alerting everyone in the area to expect another weekend of rain and snow as two storms are approaching. The National Weather Service has a winter storm watch in place from 4 p.m. Today through 4 a.m. Monday, strongly discouraging mountain travel due to possible whiteout conditions. About 2 to 3 feet of snow will fall in most of the Sierra between Friday night and Sunday, with up to 15 inches possible at 2,500 feet. The highest elevations could see 5 feet of snow or more. Wind gusts could reach 50 MPH.